WE: A Film Forum presented a series of screenings and discussions over one weekend, with a particular focus on the cultural impact of migration and investigating the capacity of individuals and communities to shape society. 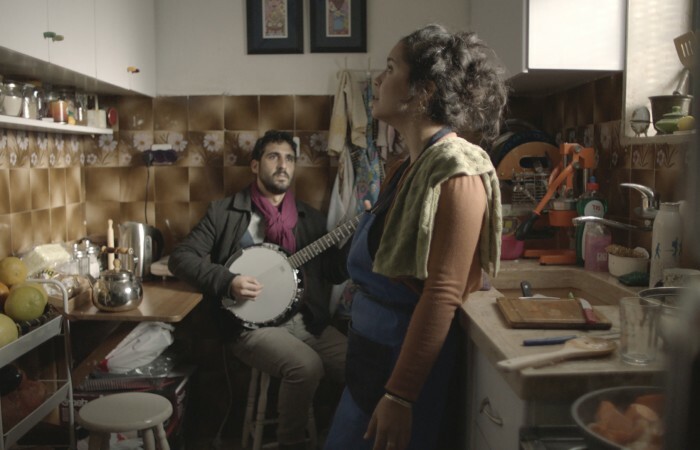 The selection of five films, with a complementary series of discussions, kicked off on Friday 21 October 2016 with Jumana Manna‘s A Magical Substance Flows Into Me, a journey into the contested musical history of Palestine through the work of ethnomusicologist and German-Jewish refugee, Robert Lachmann, detailing his radio broadcasts from Jerusalem in the 1930s. On Saturday the 22nd October 2016 we looked at themes of migration, refuge and asylum, first with a film by locally based artist Isabel Lima, followed by the internationally acclaimed Brûle la Mer (Burn the Sea) by French filmmaker Nathalie Nambot and Tunisian refugee Maki Berchache, detailing the reality of migration from North Africa to Europe in the wake of the Arab Spring. The last day of WE: A Film Forum examined a historical dialogue of power and collective resistance seen in Britain today – through representations of land and the human body itself in artist films by James Holcombe, Rosalind Fowler and Hands On Film Lab Artist in Residence Kate Liston. WE: A Film Forum was programmed by Hands on Film Lab and delivered in association with Culture Kitchen and Cobalt Studios for Hidden Civil War.